The very first time I walked through the doors of Ronald McDonald House as a volunteer I was overcome with a sense of comfort – it was such a peaceful, home-like atmosphere. A place of sharing, healing, and hopefulness. Fast forward eight years and I am now lucky that I get to walk through the doors of RMH every day and be a part of such a magical place. Each day I meet families that are going through what is probably the most difficult time of their lives – having a sick child and being far from home. People that aren’t familiar with RMH often say it must be such a hard place to work because all you see is sadness. I see it differently. I see families that come together to help each other heal, to laugh through tough times, and to celebrate small victories. Sure there are definitely sad times, stories that don’t end how we would hope, but the good ones far outweigh the bad. One of the best things about Ronald McDonald House is seeing parents get to take their new babies home after a long journey through the Neonatal Intensive Care Unit (NICU). 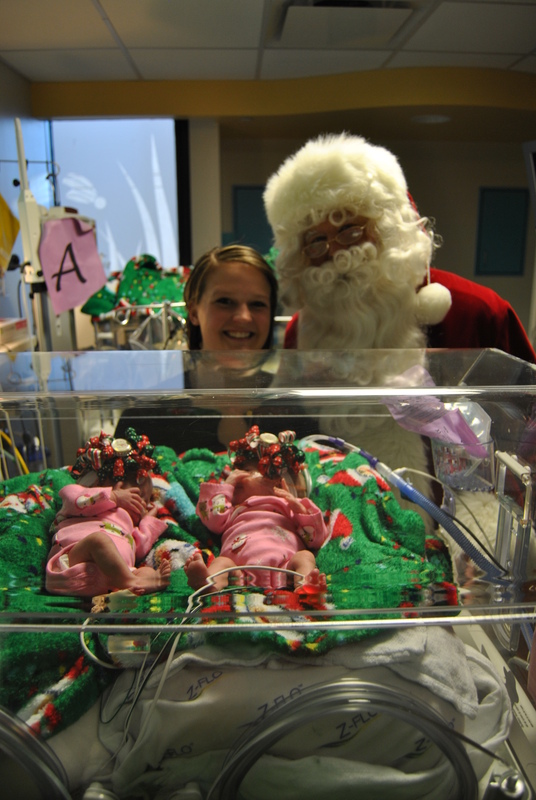 These adorable little girls, Taelynn and Trinity, were born at 27 weeks and their parents and grandparents spent 86 nights at Ronald McDonald House while they got stronger and learned to breathe and eat on their own. They spent their first Thanksgiving and Christmas in the NICU, but thanks to Ronald McDonald House they always had family by their sides. Santa even stopped in for a visit! To find out more about Tiffany and what she does to help RMHCK, see her staff bio here. Previous Post: « We’re blogging!